10 tips to help kick-start your postnatal fitness! Kick-start your Postnatal fitness. Get my free download with 10 tips for getting back into shape after having a baby, and then in 7 days as a BONUS you’ll also receive my Delicious and Nutritious Recipe Book! I am stronger, feel better, look better and cannot wait to see what my next sessions will bring. 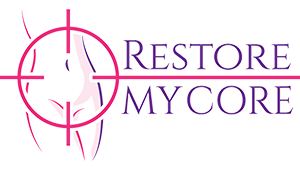 If you want to put yourself back together safely after having a baby, then Restore my Core is the best way I can think of to do it. Can I do it again?! Joining your class was the best decision I could’ve made! The biggest benefit is a boost in confidence, and my body shape has changed for the better. I love it! I can be honest about what I have and haven’t done, she keeps it varied and interesting, and perhaps most importantly of all, she knows how to motivate me. 100% Vanessa is the most knowledgable instructor I have ever come across. And the most accessible, she never once made you feel inadequate for being out of shape! I had better results in 4 weeks than 3 months at the gym! I now have a better sense of commitment, a better idea how my body will be working when I do exercise and a sound plan of action to stick to. Vanessa really knows her stuff! She has taken the time to find out a huge amount of information (I would say much more than your average personal trainer) regarding post baby bodies! I feel in great shape following this course, and feel this should be a manadatory for all women after they’ve had a baby! It’s rebuilt my confidence to actually take steps towards getting back strong and fit again. Restore My Core has made me feel like me again, but better! Training always feels like we’re working together to improve me and my very specific personal goals. The stretches and tips on using the foam roller have been great for aches and pains and I feel really good after doing the mobility excercises! I enjoy seeing the results just from simple exercises and lifestyle changes designed to fit around you and baby. The sessions are varied- Vanessa always has a plan, but if I’m feeling more in need of something slightly different we tweak it. I feel brighter, stronger, and more confident now. I feel fitter and stronger. I have become more toned, especially in my bum, legs and arms. I have learned to use my TVA muscles more effectively and to breathe correctly through excercises. I liked the small class size, there is a real connection between everyone which helped to keep my motivation levels ups and also to stay focused on the end goal. I can do your workouts around the kids, stop and start if I need to which is brilliant for me. A small group exercise programme to restore your core and pelvic floor. A safe and effective full body postnatal fitness programme. From baby body packages to general health and fitness. If you’re looking for a female Personal Trainer and Pilates Instructor in Watford, I have a package that can help you improve how you move and feel. I have worked with clients ranging from dancers and athletes to office workers with the aches and pains that too long sat at a desk can give you. Do you feel like you don’t know where to start? Whether you’re 8 weeks postnatal or your children are teenagers, there is a lot of confusing information out there, and sometimes it feels like everyone else is finding it easier than you. You can eat and enjoy foods you like. 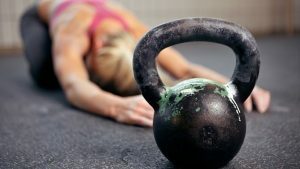 Workouts do NOT have to be punishing or last for hours to get results. Whether you want to improve your fitness, your confidence, feel stronger or improve your energy levels, VB Fitness is about finding ways to support you. Operating in Watford, Bushey and surrounding areas. With clients in Watford, Bushey, and surrounding areas, we have weight loss and postnatal fitness solutions to suit your lifestyle and goals.